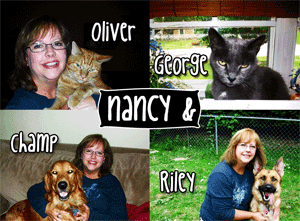 In June 2005, I began Doggone Purr-fect Pet Sitting Service and am committed to serving Greenwood and the surrounding southside communities by providing loving, dependable pet care for the furry, four legged members of your family you hold dear to your heart. It has been a fun and rewarding journey to meet new people who love their pets very much. It has been my pleasure to help meet their needs, and to care for many interesting and awesome pets from dogs to cats to skunks. It has also been exciting to provide a service that continues to grow. As Doggone Purr-fect Pet Sitting has grown, so has the staff and services. It is our desire to continue to meet the petsitting, dog walking, and pet related errand needs of pet owners in Greenwood and the surrounding communities on the Southside of Indianapolis. We are able to do this by providing pet sitters who have the same passion for providing dependable, loving care to the furry members of your family. “I still remember my first dog as a child, Earl J. Wagadorn. We nicknamed him Waggy. I couldn’t wait till we brought him home and will never forget how having a pet brought a special element to our home I didn’t even know was missing. Later, a cat with her kittens chose our home for her family. It was then I discovered I loved cats! So I always knew I loved animals, but as a pet sitter/dog walker I’ve had the pleasure of caring for so many amazing animals. And their owners are some of the nicest people I have had the pleasure of meeting! “I am very grateful that I love my work. Every day I am greeted with wagging tails, mews, and purrs. I love this quote in Marley and Me by John Grogan: ‘A dog has no use for fancy cars or big homes or designer clothes. Status symbols mean nothing to him. A water logged stick will do just fine. A dog judges others not by their color or creed or class but by who they are inside. A dog doesn’t care if you are rich or poor, educated or illiterate, clever or dull. Give him your heart and he will give you his.’ And . . . all of us cat lovers know this applies to our feline friends as well. 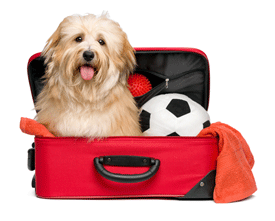 Doggone Purr-fect Pet Sitting assures the quality of my dog’s life and allows me peace of mind in the knowledge that my dog is safe, healthy and happy while I am at work or traveling. Doggone Purr-fect Pet Sitting has been my choice for in-home pet sitting for years. My dog benefits from the consistent and reliable care of Doggone Purr-fect Pet Sitting! I highly recommend Doggone Purr-fect Pet Sitting! Most importantly, my dog Bella gives Doggone Purr-fect Pet Sitting FOUR PAWS UP!